This may not be a new and exciting timepiece for everyone, but for me it is an all time favorite, that I have yet to write about. 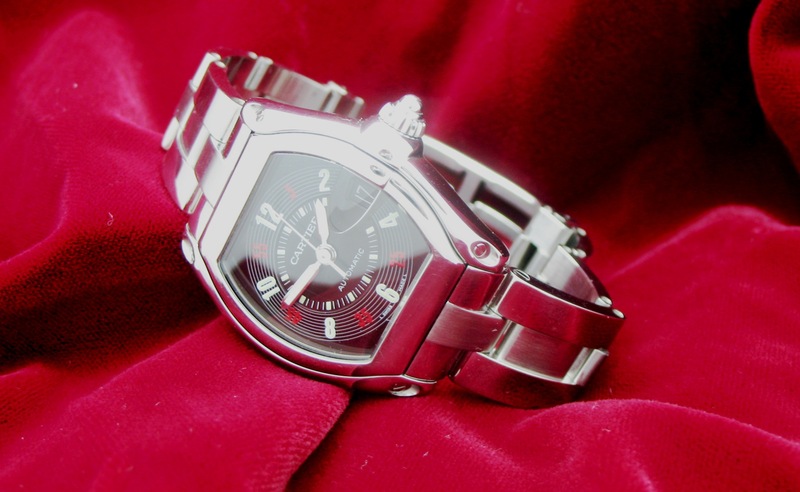 The Cartier Roadster had been a “Holy Grail” watch for me for a long time. You know the type, that piece that you would want to acquire using any means necessary, but has always been just out of reach. Rest assured my crusade was not in vain, I’ve made my conquest and this watch rests in my personal collection. I didn’t consider this to be a grail watch because of some technical prowess, or revolutionary complication, the feeling was purely about style and design. 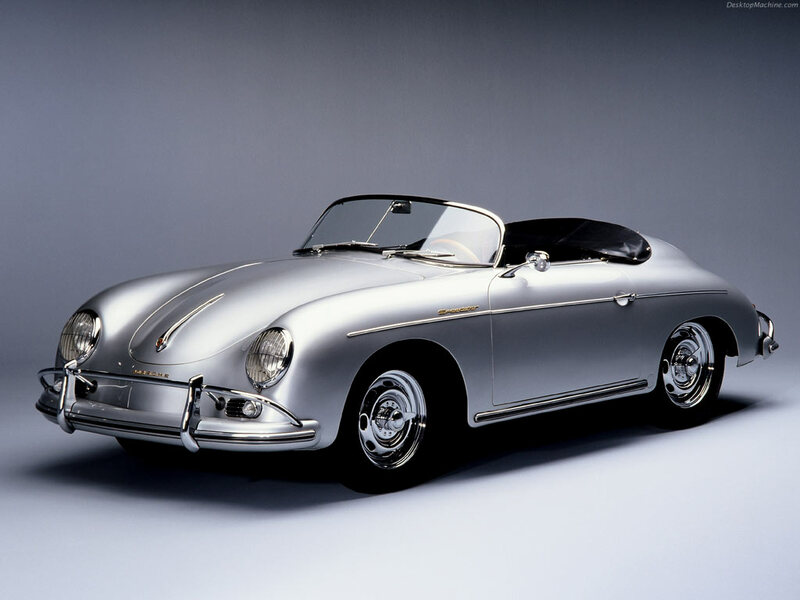 Being the car aficionado that I am, when I first laid eyes on this watch and understood its nuances, I was captivated. I knew that I would have to have this object of beauty. It was unmistakably the most interesting watch that I had ever seen. The Dial- Most notably what people mistakenly refer to as the “Vegas Dial” is actually printed to resemble a speedometer gauge. If you are from the U.S. and remember when we had a national speed limit you will notice the smaller case numbers including the “55” highlighted in red just like the vehicles in production around the same time. The Date Window- Represents the curved windshield or rear window of those sleek and curvy machines curved to follow the lines of the car. The Crown- My favorite touch, looks remarkably like the rally wheels you might find on a 60’s corvette or Camero. The Case- The shape of the case looks suspiciously like a drop top roadster complete with those headlight looking screws adorning the lugs. The Bracelet and Strap- I was told the bracelet design with the polished sides and brushed center mimics the dashed yellow lines of the freeway, and I swear the optional leather strap has the same stitching of a Porsche 356 I once knew. I know all of my car buff friends will pick up on these things as well. If you are not into cars guy and are merely a watch fan, this is still a remarkable watch. When it was released it housed the Caliber 3110 which was based on the ETA 2892-A2. 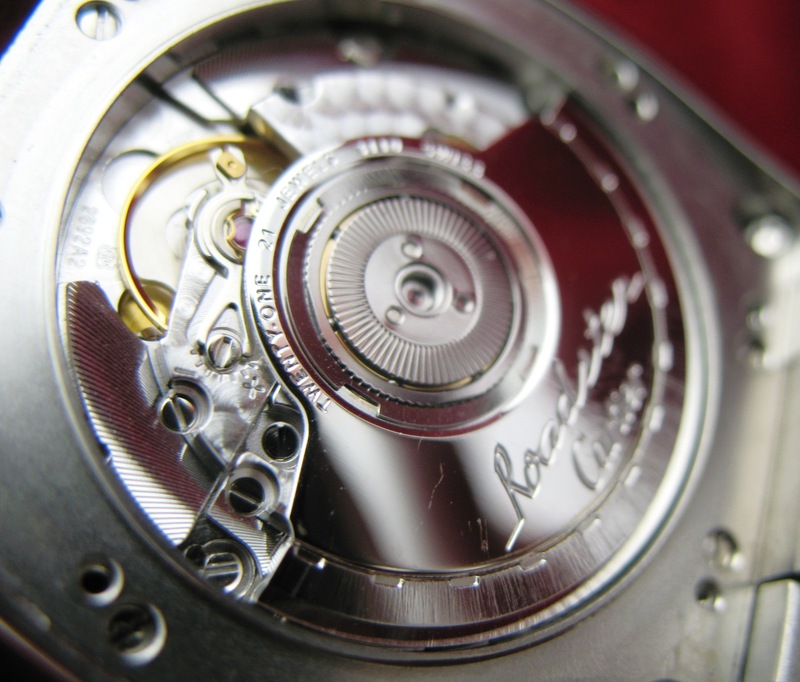 This is a work horse movement with a few embellishments including the Roadster engraved rotor, and is also very reliable. 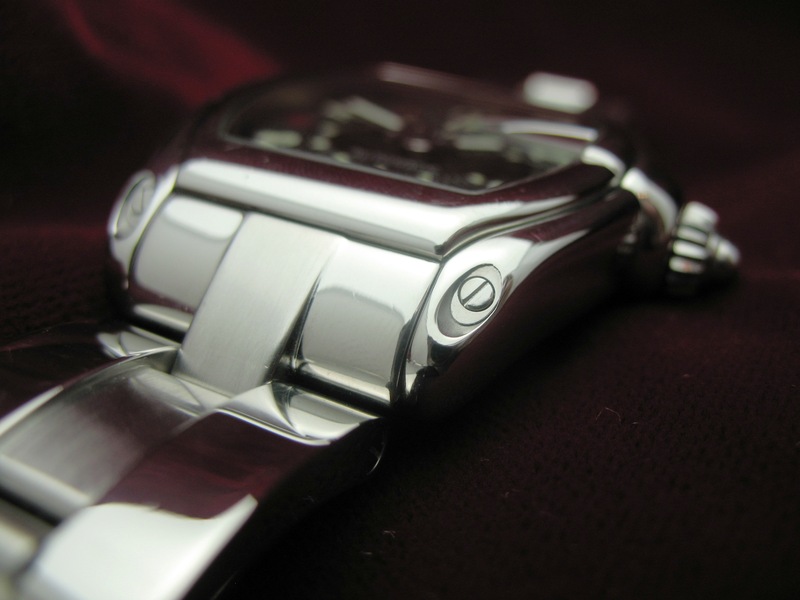 The entire line features a quick change bracelet, which is a very ingenious lever system to release the bracelet from the case in exchange for a leather or rubber strap. There were a few variations on the arabic numbered and roman numeral dials for layout and color, but all of them were a dimensional 2 piece dial with excellent luminescence and distinct design. Made in bright stainless steel or 14 karat yellow or white gold and water-resistant to 300 meters, this piece was an easy daily wearer. Cartier no longer offers the speedometer dial and has opted for the traditional Cartier layout with roman numerals, and have added a chronograph with an in-house movement to the line. They have also added the Roadster S, which is an abbreviated design of the original with a great patterned rubber strap. At its zenith the line inspired a cologne of the same name with the same crown design used for the cologne cap. They have trimmed the line down to a few variations, and there are rumors of it being discontinued, but in any adaptation this watch isn’t just my grail watch it is totally swell. 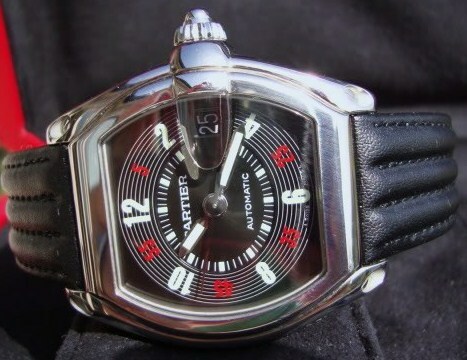 This entry was posted in Cartier, Watches and tagged Bracelet, Business, Cartier, cartier 3110, cartier roadster, Cartier roadster design, Cartier roadster review, Cartier roadster watch review, Colored gold, cool watches, ETA, eta movement, Holy Grail, Jewelry, Porsche 356, Roadster, Roman numerals, Shopping, Speed limits by country, Stainless steel, The Dial, vegas dial, Watch, watch photography, Watches. Bookmark the permalink. 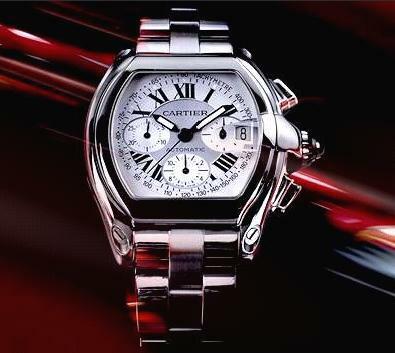 It’s truly one of my favorites, Cartier make such beautiful creations in the men’s watch line, don’t they? Thanks for the comment. 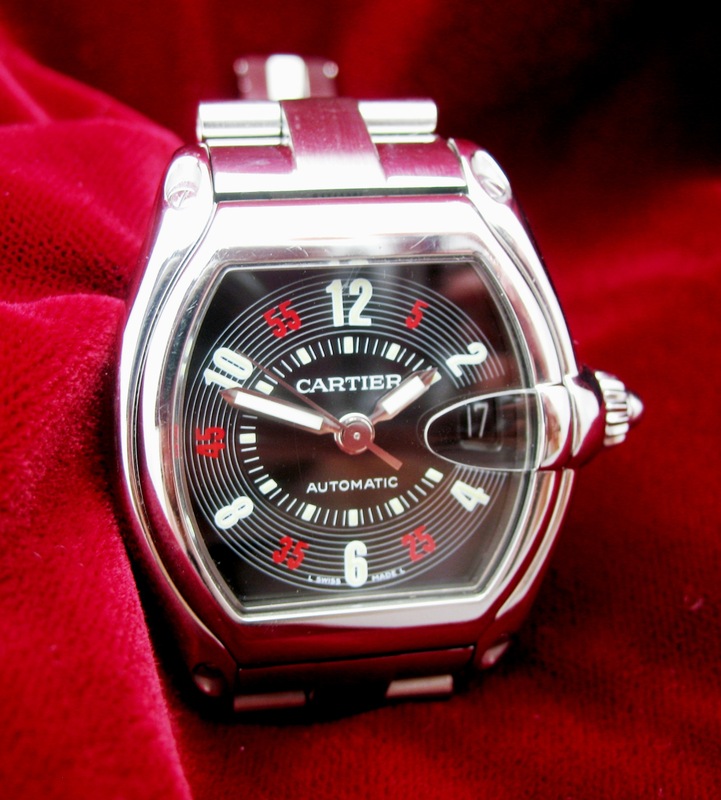 Pingback: Is the Cartier Roadster discontinued ?